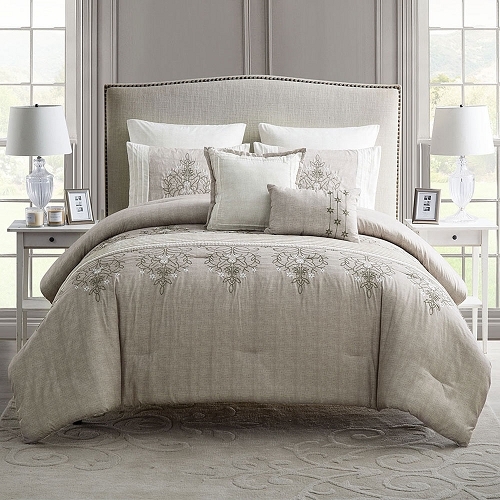 This sophisticated 7 Piece Comforter Set Bed in a Bag is extremely elegant & beautiful. Super soft 100% Polyester, pleated details will and create pure luxury on any bed with detailed ruffled is extremely luxurious details that complement any décor for your master suite or guest bedroom. Bed skirt 60" x 80" + 14"
2 Breakfast pillows 12" x 16"
Bed skirt 72" x 84" + 14"